What Are The Best Sweeteners For Diabetics And A Low Carb Diet? You frequently hear how bad sugar is for you and may wonder, what is the best natural sweetener for diabetes? 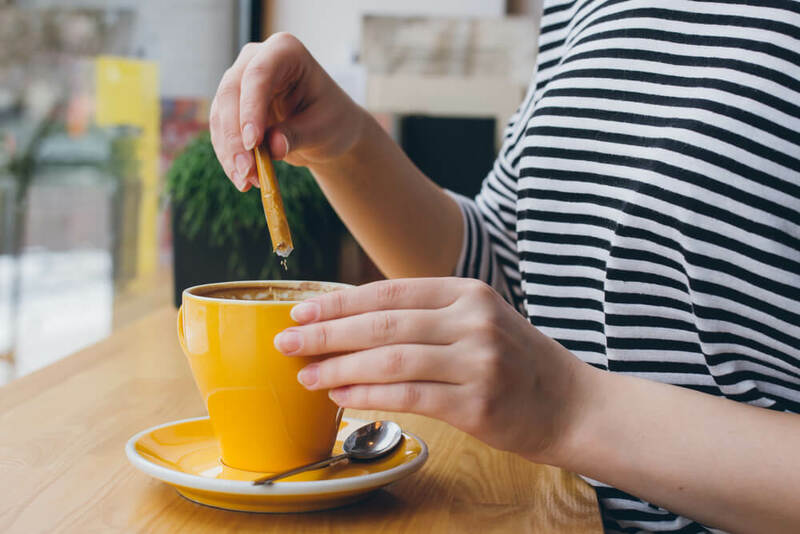 Whether you are using the sweetener for coffee, tea or baking, the U.S Food and Drug Administration approved six non-nutritive sweeteners that are not sugar. These are the best sweeteners for diabetics: saccharin, aspartame, acesulfame potassium, sucralose, neotame and advantame. What about stevia for diabetics? Stevia is also a part of the list of natural sweeteners that people use and is safe for diabetics. Here we will go through the list of the best sweeteners for diabetics and the brand names that are associated with them. The best sweeteners for diabetics: What should you use for sweetener when you are a diabetic? An excellent choice is stevia for diabetics. It is not only a low calorie sweetener but it comes from a plant that can be used for both medical purposes and for its sweetness. It even has been proven to lower blood sugar levels in diabetics and can even help with insulin sensitivity. When it comes to using a sweetener, stevia is a great option because it is one of the best natural sweeteners for diabetics and has no calories. Another excellent sweetener for diabetics is Xylitol which is listed above under the sugar alcohols. This type of sugar alcohol contains a small about of calories per gram but although it is healthy it can cause digestive issues when over consumed. Other sweeteners for diabetics include Erythritol and Yacon Syrup which are other alternatives to sugar. Erythritol is like stevia because it is a low calorie sweetener, but processed differently since it is a sugar alcohol. This type of sugar alcohol can be found in certain fruits and although low calorie, it still contains around .24 calories per gram. Erythritol hasn’t proven any specific health benefits but it hasn’t proven any significant negative side effects either. Yacon Syrup comes from a plant that grows in South America. It not only could be linked to weight loss, but it aids in digestion due to its high amounts of antioxidants and dietary fiber. Also, many prefer it’s taste which is more like honey or molasses, compared to some other sweeteners. There are other types of sweeteners made from coconuts or honey but these types of sweeteners aren’t very different from sugar. Types of sweeteners such as coconut sugar, molasses, honey and maple syrup can offer good alternatives to sugar but it all depends on your diet, and are typically not the best choice for diabetics. If you already eat a diet that is high in carbs, substituting or adding these types of sweeteners will only harm your body. If you are eating a healthy diet and adding sugar to it in small doses and monitoring your blood sugar levels, you may be able to use some of these types of sweeteners sparingly. The most important part of taking care of yourself is by taking care of what you eat. It’s a common misconception that diabetics developed the disease by consuming too many foods containing sugar, which is not necessarily true. That doesn’t mean that if you are a diabetic you shouldn’t watch your sugar intake. You may enjoy some sweets but you should have limitations. When all else fails, watching your portion and moderating your intake of desserts will help you stay within your limitations.